PUBG has indeed become a game that is loved by many people in the world as well as in Indonesia, after successfully attracting the attention of gamers with their PC version releases in their Mobile Phones, it also caused a stir. The price difference between the PC and also the mobile version that is very lame also makes this game quite easily accepted by the people in Indonesia, but the need for high specifications forces us to play the brain to find the best settings etc. Relax for those of you who want to try playing PUBG Mobile and are constrained by HP specs, you don't need to be tired of changing your cellphone, just use NOX. After successfully downloading NoxPlayer, the next step is that you enter Playstore and log in using the same account on your cellphone. 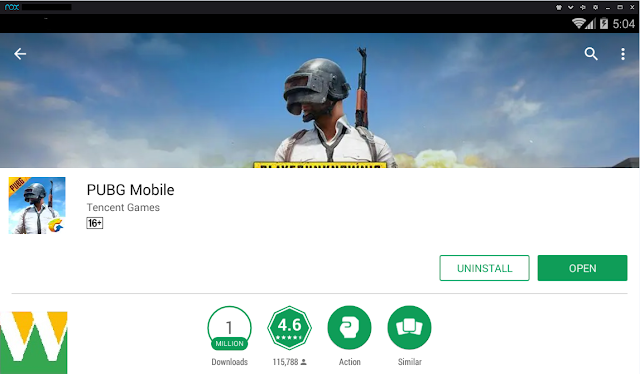 After successfully entering, just download the PUBG Mobile game from Playstore in your NoxPlayer. After you install PUBG Mobile through Playstore, after that you can immediately play the game easily, but wait a minute! You still need to set the touch screen buttons to be compatible on your keyboard and mouse. The first button mapping is the mapping button to move and see. 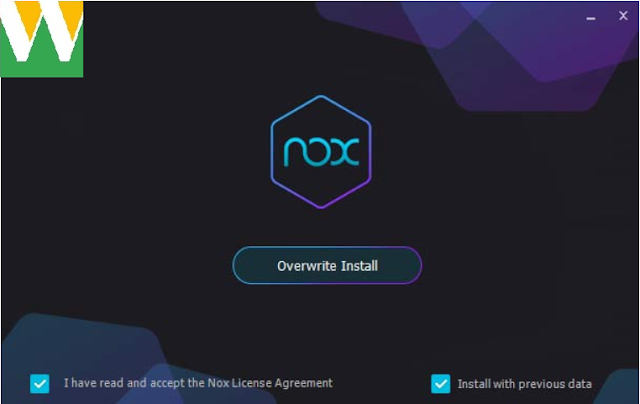 Caranya kalian hanya perlu melihat ke windows NOX bagian kanan dan memilih logo keyboard atau Keyboard Control (Lihat gambar diatas yang diberi kotak biru). Lalu pilihlah AWSD (panah merah) untuk bergerak taruh di D-Pad dalam game, dan juga pilih logo croshair untuk melihat menggunakan mouse (panah warna kuning), JANGAN LUPA ganti tombolnya sesuai kenyamanan. Dalam gambar dicontohkan dengan keyboard V, tombol V akan membuat pointer mouse hilang dan kalian bebas bergerak menggunakan mouse, tekan tombol V lagi untuk memakai pointer mouse. Mapping the second button is the Fire button and also sight iron. To further set the fire button on the left click you can see the image below, and for sniper or zoom mode you can use right-click as shown below. The way you just click on the picture (in the yellow circle), then you fill it by right clicking to zoom or power. Then you can set it according to your preferences like the tutorial above, or you can take this setting. Copyright © 2018 WikiHowTo™ Is A Registered Trademark. Designed by Template. Built with Blogger Templates.